Narrator: In 1922, 101 New Yorkers hanged themselves, 444 died in car accidents, 20 were crushed in elevators. There were 237 fatal shootings, and 34 stabbings. And that year, 997 New Yorkers died of poisoning. On April 25 1922, Fremont Jackson and his wife Annie took their place among those grim statistics. Marcella Fierro, Forensic Pathologist: This is a multiple death. The multiple deaths -- they're a different class of death. When you look at multiple deaths, they're not usually accidents and they're not usually natural. Colin Evans, Writer: The initial suspicion was that they had been the victims of a dual suicide. Then they looked around and nobody could find any sign of any poison anywhere. Deborah Blum, Author The Poisoner's Handbook: It's kind of a classic lock-door mystery. People are dead on the floor with what they think is a poison exposure. But there's absolutely no poison in the apartment. Nothing. Narrator: The Jackson mystery seemed destined to become just another cold case. Instead, it would mark the emergence of forensic science, and a new era in criminal investigation. Narrator: Like many such mysteries, the Jackson case found its way to Charles Norris at Bellevue Hospital. Narrator: As New York's Chief Medical Examiner, Norris was responsible for investigating every violent or suspicious death in the city. And he was taking a radical approach to the job. For four years now, Norris had been studying the bodies of victims to find out how they died. This was a far cry from the way New York City had dealt with suspicious deaths in the past. Traditionally, they had been handled by city coroners. Even in an era of rampant corruption, New York coroners stood out. The job was handed out by the mayor like any other political plum. Painters, milkmen, undertakers, musicians; anyone could be a coroner. And because they were paid by the body, coroners liked to process as many as possible, as quickly as possible. Deborah Blum, Author The Poisoner's Handbook: Coroners also had an incentive to make money from the families of the dead. So you could find coroners who wouldn't release the body to a family unless they went to a funeral home that was giving them kickbacks. At the same time, you could also make money by selling cause of death. "I don't want my best friend to be found guilty of murder." "I don't want my husband to have committed suicide." Narrator: If you had the right connections you could get away with murder. Even if you didn't, the coroners' incompetence meant that science played virtually no part in law enforcement. "Numerous homicides have undoubtedly failed of detection," a study had concluded, "and skillful poisoning can be carried out almost with impunity." Charles Norris had been an unlikely candidate to reform this wretched system. He came from one of the wealthiest families in Philadelphia. He could have lived a life of idle luxury, but chose instead to study medicine at Columbia University. David J. Krajicek, Writer: After finishing his medical training, Norris went to Europe, studied in Berlin and Vienna. And he was quite smitten by the developing European use of scientific evidence in the criminal justice system. And he brought that idea back to the United States. Narrator: When Norris returned home, he joined an alliance of civic groups, newspaper editors, and state officials that was trying to do away with the coroners. They wanted a medical examiner's office, staffed by professionals, employing the latest techniques in forensic science. In 1918, over the bitter opposition of the mayor, they succeeded. Norris was chosen to lead the new department. But from day one, it was clear that he had made a powerful enemy. Deborah Blum, Author The Poisoner's Handbook: The Mayor of New York was Red Mike Hylan. He was forced really, literally forced to hire Norris. He wanted a medical examiner's department that would do favors for him. You know, "My friend got in trouble with this. I'd like you to help me cover up that." But Norris was too much of a purist to ever play those games. David J. Krajicek, Writer: Norris was driven by the desire to create what he called a, a medical-legal justice system in America that was science based, where convictions and acquittals weren't based upon who you knew but were based upon science and fact. That was his mission. That was his personal mission. Narrator: Hylan was looking for any opportunity to undermine this well-heeled reformer. Norris couldn't afford any mistakes, especially when the whole country was watching. Norris needed answers. He turned to Alexander Gettler, the brilliant young chemist who ran his toxicology lab: the first of its kind in the country. Michael M. Baden, Forensic Pathologist: When I first met Dr. Gettler as a medical student coming over to see autopsies, he was very nice. A small man compared to Norris, for example. Very polite, but very shy in a way. Alexander Gettler (Chris Bowers): Ok. Set up a steam distillation for cyanide. Good morning Alice. Tartaric acid, sodium hydroxide, hydrochloric acid. And I think we're out of ferric chloride -- you'll need to make some up. Alice Merritt (Lucie Kosinova): Ok.
Michael M. Baden, Forensic Pathologist: I never heard him speak about anything else in his life, other than toxicology. Not family, not friends. I had the impression that he was a guy who was thinking of chemical formulas all the time. Narrator: Norris had hired Alexander Gettler as soon as he took office, and the young man had become his closest ally. Gettler had built the toxicology lab from scratch, and trained his staff in the emerging science. In this case, Gettler's first challenge was deciding which poison to look for. Alexander Gettler (Chris Bowers): Cyanide. Let's start with this one. Deborah Blum, Author The Poisoner's Handbook: There were signs that this was possibly a cyanide poisoning. There's this weird reddening of the skin because of the way it chemically interacts with the blood stream. There's bluing around the lips, which would which would normally say to you, "Someone was having a problem getting oxygen." Cyanide interferes with your body's ability to process oxygen, so that you have a chemical suffocation. Marcella Fierro, Forensic Pathologist: The police report said they went down like a shot. Now very few things drop people like a shot -- heart, rarely brain, and some toxins. Now of the toxins that will drop you like a shot, cyanide has to be right up there. Alexander Gettler (Chris Bowers): About 200 grams. Harry Schwartz (Ondrej Paces): Ok.
Narrator: If the Jacksons had swallowed cyanide, there would be traces in their stomachs. That is where Gettler's search began. Gettler's life work boiled down to one fiendishly difficult task: finding trace amounts of poison in an overwhelming matrix of human tissue. He started by grinding a chunk of the stomach wall. He then slowly distilled the resulting sludge. Any cyanide in the Jacksons' stomachs would be concentrated in the distillate collected at the end of the process. Gettler was most at home finding his way through intricate mazes of compounds and formulas. The deeper the mystery, the more obsessive he became. 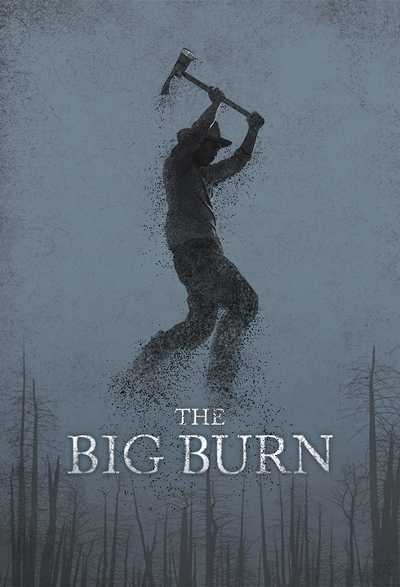 Nothing had ever come easily to Alexander Gettler. He had grown up poor, one of the multitude of immigrants struggling to free themselves from the troubles of Manhattan's Lower East Side. Even then he had been obsessed with chemistry. He had put himself through school by working the graveyard shift at the Brooklyn/Battery ferry, doing homework through the night and attending classes during the day. He understood then that chemistry could unravel the mysteries of nature. Now he hoped that it could illuminate the messy and confusing circumstances that all too often separated life from death. Charles Norris (Don Sparks): Abraham! Any word on the Jacksons? Abraham Freireich (Howard Lotker): Dr. Gettler's about to start that now. Charles Norris (Don Sparks): Excellent. Alexander Gettler (Chris Bowers): Yeah -- Fremont. I'll just be a minute. Narrator: The hunt was almost over. The last step was to unmask the poison in the distillate. All poisons have indelible signatures -- the trick is to reveal them. Cyanide can be unmasked by adding chemicals to turn it a deep, Prussian blue. Alexander Gettler (Chris Bowers): Ok. Here we go. Charles Norris (Don Sparks): Damn. Deborah Blum, Author The Poisoner's Handbook: There was nothing. There was not a trace of cyanide in the stomach. And so now you have this impossible problem. You've got people who look like they died of cyanide poisoning, you've run all of your tests, and there's nothing there. Charles Norris (Don Sparks): I'll call the DA. Marcella Fierro, Forensic Pathologist: Gettler examined the stomach wall. Didn't find it. Examined the gastric contents. Didn't find it. The police brought in substances, every substance they could find apparently from the apartment. Gettler dutifully tested all of them. Negative. Well by this time he knows what? Since the stomach is empty, the gastric contents is negative, then it has to be an inhalation. Deborah Blum, Author The Poisoner's Handbook: Cyanide was a very popular rat killer of the time. And the gas they used to use to fumigate then was hydrogen cyanide, which is a phenomenally poisonous gas. Colin Evans, Writer: They then contacted the hotel manager and asked him if there had been any fumigation of the hotel to get rid of pests. And he assured them that "No, there had been no such fumigation." And he was as much in the dark as to how the couple had died as the examiners. Marcella Fierro, Forensic Pathologist: So then they have to go back and they, they do what all good policemen do. They start talking to people, and they talk to people, and they talk to people. There's no substitute for a good homicide detective. Believe me, there isn't. And they find a maid who finally, she fesses up and says yes she knows that they were fumigating. Narrator: The mystery was beginning to unfold. The next step was to determine how cyanide gas could have seeped into the Jacksons' apartment. The police came up with a simple test, setting off smoke bombs in the hotel's basement rooms, where the fumigation had taken place. Another piece of the puzzle fell into place. But there was still no proof that the Jacksons had inhaled the cyanide gas. For that, Gettler would have to examine their lungs. Unfortunately, those were six feet underground in a New Jersey cemetery. The D.A. reluctantly gave permission to exhume Fremont Jackson's body, a request that would have been unthinkable when coroners were in charge. Narrator: Two weeks after his death, Fremont Jackson's lungs were delivered to Gettler's lab, where they were ground up and distilled in preparation for the Prussian Blue test. The hotel manager had lied to the police, and the fumigator had been negligent. Both men were charged with first-degree manslaughter. The penalty was 10 years. As Norris and Gettler made their way into court, they were apprehensive. Judges, juries, and lawyers were unacquainted with forensic science, and furthermore, anyone resembling a coroner was assumed to be a political hack. Defense Lawyer (R. Scott Williams): Doctor Gettler, are you licensed and authorized to practice medicine? Alexander Gettler (Chris Bowers): No. I am toxicologist to the Chief Medical Examiner's Office. Alexander Gettler (Chris Bowers): No. Defense Lawyer (R. Scott Williams): You have testified that you found traces of cyanide in Fremont Jackson's lungs. I assume that you did this analysis soon after Mr. Jackson's death? Alexander Gettler (Chris Bowers): Well, it had been buried for five days. We had it exhumed in order to remove the lungs. Defense Lawyer (R. Scott Williams): You exhumed the body? How extraordinary! By the time you finally got around to examining Mr. Jackson's lungs, I assume the body had begun to decompose? Alexander Gettler (Chris Bowers): Yes. Defense Lawyer (R. Scott Williams): Well how do you know that the cyanide you found wasn't just a natural by-product of the body's decomposition? Alexander Gettler (Chris Bowers): Cyanide is not a by-product of decomposition. Defense Lawyer (R. Scott Williams): Really? Never? Alexander Gettler (Chris Bowers): All right. Let me correct myself: while it's possible that small amounts of cyanide might be produced during decomposition, that would never account for the concentrations in Mr. Jackson's lungs. Defense Lawyer (R. Scott Williams): Based on what? Alexander Gettler (Chris Bowers): Based on my own experience. Defense Lawyer (R. Scott Williams): Why don't you just tell us the truth: you had no way of knowing what to expect in Mr. Jackson's lungs. You just had a hunch that what you saw was the result of a crime. And on the strength of that hunch the jury is supposed to send this man away for 10 years. You have a lot of faith in your hunches, sir. Thank you, "Doctor" Gettler. Narrator: The prosecution's case collapsed. Both men got off. Gettler was stunned. He had been made to look a fool, and worse still, he had undermined Norris's campaign to legitimize forensic science. Deborah Blum, Author The Poisoner's Handbook: After the Jackson case Gettler is, "I'm going back to the laboratory and I'm gonna nail this science so precisely that no one will ever do that again." He did hundreds of tests on cyanide. His work was so good that they still cite it today. Narrator: Alone in the lab, Gettler answered the question he had been unable to answer in court. A decomposing body produces only the faintest hint of cyanide, nothing like the levels in the Jacksons' lungs. He had been right all along. Gettler couldn't undo the outcome of the Jackson case. But his paper on cyanide became part of something much larger. Together, Norris and Gettler were beginning to reinvent criminal investigation. In the end, they would transform the way science deals with death. In the 1920s, Americans lived in a world that had been remade by chemistry. Since the dawn of time, mankind had been dependent on materials supplied by nature. But over the last century, chemistry had fundamentally changed that relationship. Now, artificial materials were being created from scratch -- plastics, cellophane, nylon, polyester. And just as important, old materials were being altered for new uses. Automobiles and airplanes used steel that had been hardened, rubber that had been vulcanized, and petroleum that had been refined, all through chemical processes, on an ever increasing scale. Crops were fed with chemical fertilizers, and protected with chemical pesticides. Bountiful harvests, along with chemical disinfectants, antiseptics, and chlorinated water, had helped cut the infant mortality rate by half, and extended the average American life by ten years. But that same chemical revolution had paved the way for the most destructive conflict in history. 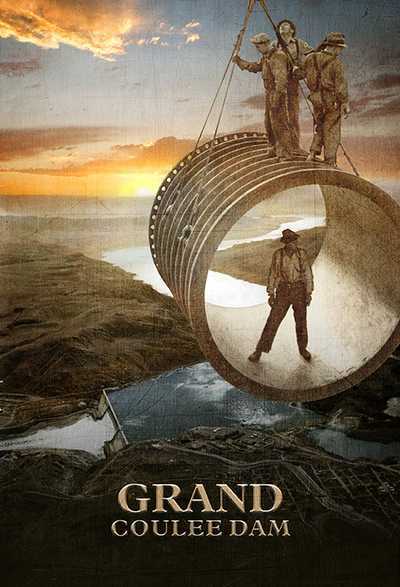 The Great War was fought with hardened steel, high explosives, flame throwers, and poison gas. It had been called "The Chemists' War," and by the time it ended, the revulsion over chemical weapons was so deep that they were being banned by the Great Powers. But while chemicals were being regulated in warfare, there were no limits at all in civilian life. Deborah Blum, Author The Poisoner's Handbook: A lot of things that we think of today as dangerous poisons were just on your grocery store shelves or in the pharmacy. They were in medications. They were in pesticides. They were in cosmetics. Pharmaceutical companies were not required to test their products. Companies didn't have to properly label things. So you're living in this world that's sort of a slosh with really dangerous compounds that people did not entirely understand. Narrator: All winter long, Fanny Creighton had been desperate for company. She and her husband John had moved in with his parents when they got married, but the older couple had since passed away. John was away at work much of the time, leaving Fanny alone in the house. So she was relieved when her brother Charles arranged to move in. Charles Avery (Ronald Prokes): : What? Fanny Creighton (Katerina Vecker): : Can't a person look? Narrator: They had grown up together as orphans, and quickly fell into lifelong habits. Charles Avery (Ronald Prokes): : Jesus. Fanny Creighton (Katerina Vecker): : You want some water? Narrator: Charles had been unwell for a few weeks, but nothing serious. Then he started having seizures, vomiting, his limbs stiffening and shaking. Fanny summoned a doctor, but it was too late. Charles Avery (Ronald Prokes): : What the hell? Narrator: Her brother passed away later that night. Colin Evans, Writer: And there the story may have died, except that the police received an anonymous letter saying, "You really should look into Mary Francis Creighton. We think there's something extremely suspicious about her." And this set investigative minds to work. Narrator: The police started interviewing neighbors and friends. Charles's doctor admitted that he had found the boy's death mysterious. Then they dug up the body, and found it shot through with arsenic. With that, the prosecutor charged Fanny and her husband with murder. He seemed to have a formidable case. Deborah Blum, Author The Poisoner's Handbook: She had invited her brother to live with them. She had gotten him a job at a corner store. She had, without his knowing it, taken out an insurance policy on his life. Narrator: Most damaging of all, in Fanny's home detectives had found a bottle of Fowler's Solution, a popular cosmetic tonic. The active ingredient was arsenic. The penalty for murder was death. It looked like Fanny was heading to the electric chair. But on the last day of the trial, she was finally able to explain what had happened. Charles had been heartbroken over an unrequited love; he had shared his secret only with her. She had been unable to stop his slide into depression; her little brother must have poisoned himself to escape from his misery. Her story was so persuasive that the jury found her not guilty. But Fanny's troubles weren't over. Even as she was celebrating her acquittal, the prosecutor was lining up another case against her. Colin Evans, Writer: The police had heard from neighbors that a few years previously the in-laws had died under very, you know, unusual circumstances. And so at that point it was decided to exhume their bodies. Lo and behold they found arsenic in the body of her mother-in-law. Narrator: The county physician declared that the body contained four times the lethal dose of arsenic. The prosecutor had no doubt about how it got there. The day after Fanny's acquittal, he accused her of killing her mother-in-law. Deborah Blum, Author The Poisoner's Handbook: Alexander Gettler would have been reading about this lovely young mother who's seen to be, caught in the evil machinations of a prosecutor who's out to get her. Narrator: Gettler wondered whether the county physician had it right. Soon, he'd have the chance to find out. Fanny's lawyers called, asking him to examine her mother-in-law's remains. Abraham Freireich (Howard Lotker): I'm set for the Reinsch test. Narrator: Gettler started by overseeing the same procedure the county physician had used. It was a well-known test that isolated arsenic in the form of a dark residue on the surface of a copper plate. The timing of the reaction was critical: if the residue formed quickly, the tissue was loaded with arsenic. Alexander Gettler (Chris Bowers): Ok.
Abraham Freireich (Howard Lotker): You think she's guilty? Narrator: The prosecution had used this result to charge Fanny with murder. But Gettler wasn't satisfied. Alexander Gettler (Chris Bowers): Where's the paperwork? Was she taking any medications? Abraham Freireich (Howard Lotker): Dionin, magnesium, sodium bicarbonate, and bismuth subcarbonate. Alexander Gettler (Chris Bowers): Ah. Bismuth. Let me show you something. Where's the arsenic? So this is the problem with the Reinsch test. Any arsenic will show up on our plate, but so will a couple of other heavy metals, including bismuth, which is what I think we might be looking at. Pass the clamp. Abraham Freireich (Howard Lotker): It evaporates. Alexander Gettler (Chris Bowers): Right. But bismuth won't; at least not at these temperatures. So let's heat our plate and see what happens. Narrator: Two weeks after Fanny's first trial ended, the crowds returned to the same courtroom for a second round. Bailiff (actor): Do you swear to tell the truth, the whole truth, and nothing but the truth, so help you God? Alexander Gettler (Chris Bowers): I do. Judge (actor): You may proceed. Narrator: When it came Gettler's turn to testify, everyone understood that Fanny's life was in his hands. Defense Lawyer (Daniel Brown): Doctor Gettler, why was Dr. Edel's result so different from yours? Alexander Gettler (Chris Bowers): Dr. Edel assumed that the residue was pure arsenic. Defense Lawyer (Daniel Brown): And how did you reach your result? Alexander Gettler (Chris Bowers): I started by performing the same test as Dr. Edel, which yielded the same residue. But rather than stop there, we processed the residue by heating it, to see whether it was arsenic or bismuth. Arsenic vaporizes at a much lower temperature than bismuth. So as you heat the residue, any arsenic will evaporate first -- you can see it clearly. But bismuth will remain unchanged. If you have no evaporation, no arsenic. Prosecutor (Curtis Matthew): Why are you talking about bismuth? Alexander Gettler (Chris Bowers): Because bismuth is the primary ingredient in one of the medications the victim was taking. Alexander Gettler (Chris Bowers): Those medications often contain traces of arsenic. Prosecutor (Curtis Matthew): Exactly. Traces. Dr. Edel has testified that the victim's stomach contained four times the lethal dose of arsenic. And you're telling us that it was simply an impurity in her medication? Defense Lawyer (Daniel Brown): Dr. Gettler, how much arsenic did you find? Alexander Gettler (Chris Bowers): An infinitesimal amount. Defense Lawyer (Daniel Brown): Enough to kill? Alexander Gettler (Chris Bowers): Certainly not. Defense Lawyer (Daniel Brown): I will remind the court that the life of a young woman hangs in the balance today. Dr. Gettler, did this woman -- or anyone else -- murder Mrs. Creighton with arsenic? Alexander Gettler (Chris Bowers): No. Absolutely not. Deborah Blum, Author The Poisoner's Handbook: Gettler would have felt great about this because, again, we're at a period where we're trying to persuade jurors that meticulous science matters in the courtroom. Defense Lawyer (Daniel Brown): Thank you, Dr. Gettler. Deborah Blum, Author The Poisoner's Handbook: It's a case study in good science saving someone's life. Narrator: For the second time in two weeks, Fanny Creighton was found not guilty. Fanny's acquittal was a great victory for Gettler. 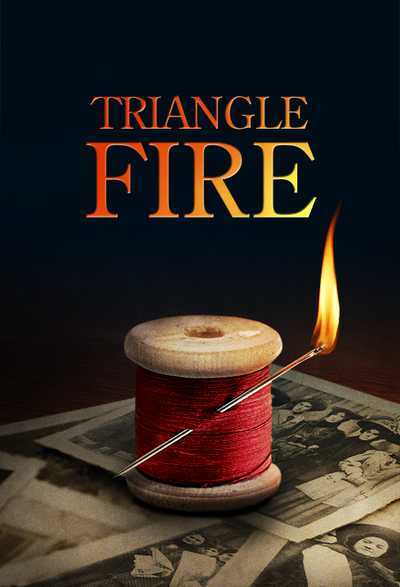 He had doggedly pursued the truth, and made the chemistry so compelling that the jury had spared a young woman's life. But he had yet to plumb the depths of human nature: Alexander Gettler hadn't seen the last of Fanny Creighton. In 1923, New York was on the brink of becoming the biggest city in the world. Already, it was the most cosmopolitan. Almost half of the city's population had been born abroad, and migration of African Americans from the South was fueling a spectacular cultural renaissance. The entire city pulsed with frenetic energy. Like many immigrants, Alexander Gettler had left the teeming streets of the Lower East Side for Brooklyn. He pursued his few pastimes with the same intensity he devoted to his work. He followed the Yankees, played in a regular poker game, and bowled competitively. His real passion was horse racing; he spent endless hours at the racetrack, lost in recalculations of odds and stakes. Gettler had married an Irish Catholic schoolteacher, Alice Gorman, despite her family's objections to marrying a Jew. Gettler set about winning them over. He agreed to move in with his in-laws, and even attended church with them on Sundays. When he proved himself a good husband and devoted father, the battle was won. Alexander Gettler was a stickler for the rules, but he never made a fuss about the illicit brewery his relatives operated on the second floor. His dedication to the law didn't extend to Prohibition. Narrator: Since 1920, "intoxicating liquors" had been banned throughout the United States. Prohibition was born of good intentions, but those were being overwhelmed by unintended consequences. Michael Lerner, Historian: There were plenty of people who predicted very positive outcomes from Prohibition. The Salvation Army opened buttermilk bars, thinking that that's what people would turn to for recreation. They will go to the theater more often. They will go to motion pictures. But within the first minutes of Prohibition going into affect people are breaking the law. Narrator: Gettler and Norris had opposed Prohibition from the start. They had predicted that people would look for other sources of liquor, and that much of it would, to some degree, be poison. Marcella Fierro, Forensic Pathologist: Gettler and Norris recognized that people were not going to stop drinking simply because a law had been passed to stop drinking. People who had money could get better quality alcohol. But poor people had to take what they could get. Deborah Blum, Author The Poisoner's Handbook: You're poor. You have your little home still. What are you gonna put in it? You can distill any organic material. So people were distilling sawdust. They were distilling their furniture. And when you are distilling wood you are making methanol. Narrator: As methanol breaks down inside the body, it produces formaldehyde, and then formic acid. This destroys the optic nerve. Vision blurs, and blindness closes in. Meanwhile, the victim suffers acute nausea, then seizures, and descends into a coma. Deborah Blum, Author The Poisoner's Handbook: What's so awful about methanol poisoning, is that this doesn't happen instantly. This breakdown of methanol into formic acid can actually take up to five days. So while you think you're okay, your body is cooking up this very poisonous brew. Abraham Freireich (Howard Lotker): Formaldehyde! Narrator: ...it would release a nose-stinging whiff of formaldehyde. But nothing Gettler did could stem the slowly rising tide of poisoned alcohol. Marcella Fierro, Forensic Pathologist: All over the city, more and more and more and more people were dying from drinking. But these were not natural deaths. These were due to a toxic substance. These were poisoning deaths. Narrator: Norris, for his part, did everything he could to publicize Prohibition's toll -- writing articles, giving interviews, and lecturing the authorities. But the only remedy Norris held out was the repeal of Prohibition, and that was nowhere in sight. Deborah Blum, Author The Poisoner's Handbook: Norris and Gettler, they were very different. If you look at what mattered to them the most you see Gettler, he's building the science. And even when they don't win every case, even when they had things going wrong, he's still building that. He could retreat into the laboratory, you know, go back to all the beautiful elegance of chemistry and find comfort in that. Whereas Norris doesn't always have that comfort. He was always out there where the failures were public. He gave his life to this, and so those losses and failures and things that he didn't achieve wore him down. Narrator: For Norris, the battles were endless. Mayor Hylan had cut funding so sharply that he was personally bankrolling the department; subsidizing salaries, and buying new equipment. And every case seemed to conjure up a new set of adversaries; the more lucrative the poison, the more powerful the opponent. In 1924, Norris came up against one of the most lucrative poisons of all. Marcella Fierro, Forensic Pathologist: The building began to be known as the loony gas building because the employees there began to do strange things. They had memory problems; they got irritable; they would develop, in retrospect, what we would call the signs of dementia. Narrator : On the 24th of October, Ernest Oelgert became delirious at work, dodging about in terror, shouting "there are three coming at me at once." Later that night, Walter Dymock walked out of the second floor window of his bedroom. Nobody knew how long he lay on the ground before a passerby had him taken to the hospital. Twenty-four year old William McSweeney started acting so strangely that his sister-in-law called the police. It took four men to get him into a straightjacket. Pressed for a statement, a spokesman for their employer explained, "These men probably went insane because they worked too hard." The victims had all been working on a product that promised to revolutionize the auto industry: leaded gasoline. Engineers had recently found that if a small quantity of tetraethyl lead was added to gasoline, it made the fuel burn more efficiently. As a result, engines ran cooler, more quietly, and delivered more horsepower. Deborah Blum, Author The Poisoner's Handbook: Standard Oil and General Motors formed a corporation in which they were the provider of leaded gasoline. They picked the name Ethyl because they didn't wanna use lead. People were a little weirded out by lead, and so they were pretending this was just some other magic, wonderful formula. Narrator: Lead was one of the oldest known poisons. Seventeen hundred years before the introduction of Ethyl, a Greek physician had observed that lead caused 'the mind to give way.' Tetraethyl lead had been developed in the 1850s, but it had never been widely used, in part because it was too easily absorbed into the body. If the dangers of tetraethyl lead were well understood, so were the financial implications. In the 20 years since Henry Ford introduced the Model T, cars had transformed American life. A vast infrastructure was taking form: assembly lines in Detroit, roads spreading across the landscape, filling stations dotting the countryside. Six billion gallons of gasoline were sold in the United States every year. If that gasoline was leaded, Standard Oil and GM would make a profit on every drop. But the headlines coming out of New Jersey were putting all of that in jeopardy. Deborah Blum, Author The Poisoner's Handbook: Standard Oil and General Motors held a big press conference in New York City with Thomas Midgley, the inventor of leaded gasoline. He washed his hands in a bowl of tetraethyl lead to prove how safe it is. Narrator: Reporters were skeptical, and the authorities were spooked. New Jersey ordered Standard Oil to shut down the loony gas building. 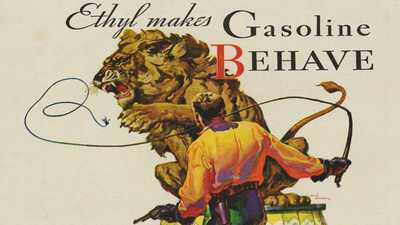 But the Ethyl Corporation insisted that its product was harmless. Deborah Blum, Author The Poisoner's Handbook: At that point the public health authorities in New Jersey went to Charles Norris and said, "Can you help us?" Charles Norris (Don Sparks): Body is identified by toe tag bearing the name Walter Dymock, who died at Reconstruction Hospital of New York, October 28 1924 at 1:30 AM. Marcella Fierro, Forensic Pathologist: The medical examiner is a physician. Marcella Fierro, Forensic Pathologist: So his relationship to the dead body is that of, of a doctor to a patient. 'That's my patient. And he tells me what happens to him. He tells me if he has disease or injury. He often can tell me how he received it. He's asking me to tell a story.' It is very powerful. You have an obligation to the patient to get it right. Narrator: Norris had little doubt about the nature of the poison: everything pointed to tetraethyl lead. But he needed proof: proof that the men had absorbed the lead at work, and proof that it had killed them. For Gettler that meant solving three separate problems. First, he had to confirm that there was, in fact, lead in the men's bodies. He processed a sample of brain tissue to isolate lead in a clear solution. Then he added chemicals to make any lead turn a bright red. A deeper color indicated a higher concentration. Gettler had the answer to his first question: the brain was riddled with lead. Next, he needed to precisely measure the concentration. For this, he compared the shade of his solution with reference samples. Alexander Gettler (Chris Bowers): Have a look. Abraham Freireich (Howard Lotker): Wow. Alexander Gettler (Chris Bowers): Harry. Alice. Have a look if you want. Narrator: In order to get a precise measurement, Gettler would have to isolate the lead, and then calculate its weight. Alexander Gettler (Chris Bowers): ...but when Harry's ready start with a hydrogen sulfite reaction. We'll make our way from there. Narrator: The concept was simple enough, but it meant separating less than 1/10,000 of an ounce of lead from a pound of human tissue. Through an arduous process, Gettler arrived at a precise number. But the last question remained. He had to trace the lead's passage through the body by analyzing every place that it might have been deposited. The only way to do that was to carry out the same grueling procedure on the men's bones, blood, brains, lungs, livers and kidneys. Marcella Fierro, Forensic Pathologist: This was pioneering work. And what Gettler found was that these gentlemen were having chronic tetraethyl lead poisoning. They were inhaling it in addition to absorbing it through their skin. And when you inhale that lead it gets carried into the blood stream, and deposited in the tissues, especially the brain tissues. Narrator: Norris didn't bother to conceal his anger when he issued the report. "There was an astonishingly large quantity of lead in the brain and body of this man," he told reporters. Deborah Blum, Author The Poisoner's Handbook: Norris said, "This is such a dangerous compound that we need to take it out of gasoline now. Narrator: The authorities were listening. New York City banned leaded gasoline, then New Jersey, and then Philadelphia. It looked like the trend might spread. Deborah Blum, Author The Poisoner's Handbook: Calvin Coolidge was President. He was a very small government, non-regulation kind of guy. So, Standard Oil and GM, went to Coolidge, and they said, "Could we deal with this right away? So Coolidge appointed a panel of experts that only included industry scientists. Narrator: Coolidge's panel reported its findings in January of 1926. It recommended gloves, masks, and other precautions for workers, which effectively controlled the dangers of production. But it concluded that the public's exposure was too low to be of concern, and dismissed Norris's plea for a ban. As a result, the federal government lifted all restrictions on the sale of leaded gas. Soon, ethyl would be added to 90% of the gasoline sold in America. An overjoyed Standard Oil spokesman likened it to "a gift of God." Inventor Thomas Midgley was less effusive; he had had to take a leave of absence after being diagnosed with lead poisoning. The episode was a bitter defeat for Charles Norris. In July of 1925, he traveled to Europe, where he spent six months being treated for exhaustion. Narrator: By the fall, Norris was back at work in a city that had grown faster, more vibrant, and more dangerous than ever. Norris was relieved when his old nemesis Mayor Hylan left office, although he had doubts about his replacement. Gentleman Jimmy Walker flaunted his fast living, sported a show girl mistress, and was unruffled by frequent accusations of corruption. When the City Council voted to double his salary, he dismissed the critics by telling them: "Imagine what you'd have to pay me if I worked full time." It soon became apparent that Jimmy Walker wasn't going to solve Norris's budget troubles, but neither would he make trouble for him. Norris took up his duties with renewed enthusiasm, and with a style that was a source of wonder to his toxicologist. Colin Evans, Writer: Norris didn't do anything by half measures. He wouldn't shuffle up to a crime scene, you know, just sidle in. He would generally sweep out of a chauffeur-driven limousine. Saunter over to the body and have a look and say, "Yeah, yeah. Okay, guys, I've seen enough. You can take him back to the office now. He was just larger than life. Narrator: Norris never knew what awaited him when he was called to a crime scene. He was well accustomed to death, but even so, some episodes were hard to forget. Charles Norris (Don Sparks): Norris. Detective McCallister (Brian Caspe): McAllister. You with the M.E. 's office? Charles Norris (Don Sparks): I'm the M.E. Detective McCallister (Brian Caspe): Oh. Ok. Pretty cut and dried. Patrolman sees a guy dumping something suspicious into the water off India Wharf. The guy takes off. The patrolman finally tackles him and finds he's been carrying half a woman's body. Brings him in, we get his address, come here, and we find this. That's the other half of the body over there. This guy did not want to get caught. Charles Norris (Don Sparks): You can't hold that man for murder. Detective McCallister (Brian Caspe): Sorry? Charles Norris (Don Sparks): He didn't kill her. She died from carbon monoxide poisoning. Detective McCallister (Brian Caspe): There's multiple stab wounds. Charles Norris (Don Sparks): She was already dead. Detective McCallister (Brian Caspe): The DA says she was alive. Charles Norris (Don Sparks): He's wrong. I'm taking possession of the body. Detective McCallister (Brian Caspe): The DA is not gonna to like this. Deborah Blum, Author The Poisoner's Handbook: The police immediately said to Norris, "Are you crazy?" It doesn't take them half a minute to say, "What we have here is a dismemberment murder." David J. Krajicek, Writer: You have a man, with blood on his clothes, who's caught throwing the lady's limbs in the water and in his apartment on the kitchen floor is the torso. And the knife is lying there beside it. It truly seemed like an open and shut case. Marcella Fierro, Forensic Pathologist: When the police went and they find a body in pieces, I mean your first thought has to be "something very bad has happened here." Because we don't ordinarily cut bodies up and dump them in the river. I mean normal people don't think that way. Narrator: Francesco Travia was, by luck and by design, very much an outcast. The newspapers called him a longshoreman, but he spent most days by himself in a cramped apartment near the Brooklyn waterfront. He spoke no English, had very little money, and no real friends. And he wasn't telling the police, or anyone else, how Anna Fredericksen had died. But Charles Norris was sure he knew the answer. Deborah Blum, Author The Poisoner's Handbook: If you die of carbon monoxide poisoning the skin flushes this very notable cherry pink. And carbon monoxide stains the blood such a brilliant red that weeks later you can take blood from a corpse, months sometimes even, and still find that profound effect. Narrator: For Norris, it was a tragically familiar sight. As the main ingredient in illuminating gas, carbon monoxide killed more New Yorkers every year than tuberculosis, measles, and typhoid combined. It was deadly, and it was everywhere -- piped into countless homes for lighting, cooking, and refrigeration. The police assumed that the gas had leached into Fredericksen's body after she died. Norris thought that was impossible. Even so, Travia was charged with murder. Deborah Blum, Author The Poisoner's Handbook: So this set up a confrontation. The police were not trained in forensic science. So they didn't understand it and they didn't have any respect for it. And you had Norris saying, "We're gonna prove to you that science really matters in understanding these cases and solving them." It was a really interesting kind of take-no-prisoners moment in this in, in this push to have forensic science taken seriously. Narrator: Norris asked Gettler to determine whether a dead body could absorb carbon monoxide. Gettler came up with a simple experiment. He retrieved three unclaimed bodies from the morgue, enclosed them in sealed metal boxes, and piped the boxes full of illuminating gas. Alexander Gettler (Chris Bowers): Dr. Norris! Here -- have a look. Charles Norris (Don Sparks): I think he's dead. Alexander Gettler (Chris Bowers): We agree then. Charles Norris (Don Sparks): Looks clean to me. Alexander Gettler (Chris Bowers): Me too. Charles Norris (Don Sparks): And the blood tests? Alexander Gettler (Chris Bowers): Negative so far. This is the last one. Charles Norris (Don Sparks): As you suspected. Narrator: After the bodies had been soaking in the gas for several days, Gettler looked for the telltale pink flush, and tested the blood for carbon monoxide. Alexander Gettler (Chris Bowers): Send that up to the tox lab please. Narrator: When Francesco Travia went to trial in the spring of 1927, he finally told his side of the story. Once in a while a neighbor, Anna Fredericksen, would come around looking for a drink. That's how the evening of November 29th began. Over the next few hours, Travia and Fredericksen polished off a bottle together, and then he asked her to leave. She refused. The next thing Travia remembered was waking up on the floor with Anna Fredericksen's body lying nearby. Marcella Fierro, Forensic Pathologist: He thinks he's killed her. So his major preoccupation becomes what? Getting rid of the body. Well she is described as a large woman. So how's he gonna get rid of this large woman? Well, obviously make her a small woman. Narrator: Alexander Gettler then testified that Anna Fredericksen's body couldn't have absorbed carbon monoxide after she died. The gas had killed her, not Francesco Travia. Then, the source of the poison was revealed: during their argument a coffee pot had been tipped over on the stove, extinguishing the flame, causing a massive leak. Travia, either through lower exposure or higher tolerance, had awoken. Fredericksen had not. The jury found Francesco Travia not guilty of murder. Although he served time for illegally disposing of a body, Norris and Gettler had saved him from the electric chair. For them, the Travia case was a long-awaited vindication. Deborah Blum, Author The Poisoner's Handbook: You need the police to see scientists as partners. You need to make that hostility go away if forensic science is gonna work. And you see, post the Travia case, everyone wanting to move in that direction. David J. Krajicek, Writer: Norris and Gettler were elated. Justice was done because of science. These guys were all about getting it right. And in this case they did. Narrator: On Christmas Eve, 1926, hospitals all over New York were flooded with patients hallucinating, blinded, comatose, and dying. Charles Norris (Don Sparks): Are there many more? Narrator: A batch of highly toxic liquor had hit the streets. Michael Lerner, Historian: For a year or two after Prohibition went into effect, people were drinking the same old stuff -- commercial liquor the bootleggers were selling. But as Prohibition progresses, as the liquor supply becomes more and more unreliable, people start adulterating the product, they'd start diluting the product. And then the biggest threat comes from the diversion of industrial alcohol. Narrator: For decades, the federal government had required that any alcohol not intended for drinking be poisoned. That way alcohol used in cosmetics, medicines, or manufacturing could be kept out of the liquor supply. It was called "denaturing," and under normal circumstances it simply allowed the government to regulate the market. But once Prohibition took effect, denatured alcohol became an attractive source of bootleg liquor. In Bowery dives denatured alcohol was served straight up. It was called "smoke," and it cost a few cents a glass. The great majority of drinkers weren't quite so desperate. Michael Lerner, Historian: Bootleggers didn't wanna kill their customers off so they would do things like redistill denatured alcohol to distill out the poison. And you could do this to come degree, but virtually every time you would leave trace elements of the poison in it. Narrator: Norris asked Gettler to analyze samples of liquor that had been found near the victims. He identified a bewildering array of poisons: methanol, gasoline, benzene, cadmium, iodine, ether, formaldehyde, and more. Most of them were there by order of the federal government. Michael Lerner, Historian: They adjusted the denaturing formulas and they tinkered, you know, they always were looking for better ways to poison alcohol. It reaches a point where no one can be sure of what they're drinking. Whether you're in the most exclusive nightclub, or whether you're in the seediest dive, you really had no idea what was in the glass. Narrator: Prohibition was becoming a contest between chemists working for the government, and others working for the bootleggers. Norris used Gettler's findings as the centerpiece of a national campaign against Prohibition. The campaign resonated across the country. More and more Americans were coming to see Prohibition as a failure, and Norris helped cement that impression. Michael Lerner, Historian: Instead of people stepping back and saying "this isn't working," the drys push the federal government to basically double down and say, "Let's literally double the amount of poison in the alcohol. And that will stop people from drinking." Narrator: On New Year's Eve 1926, the Treasury Department announced that denatured alcohol would be made still more deadly. Michael Lerner, Historian: It's just stunning to see really what you could only describe as mass poisoning brought about by government policy. If prohibition, if its intent was to stop people from drinking, you know, the evidence is right there in front of you know, something has gone drastically wrong. Narrator: By New Years, the refrigerators in the morgue at Bellevue were full, and corpses lined the hallways. Norris spent the day chronicling the epidemic. Charles Norris (Don Sparks): Garvin, John. 32 years old; found unconscious at 32nd Street and Broadway at 1:30 o'clock this morning. Gordon, Mabel, 31 years old, of 40 East 133rd St.
George F. Carlisle, 42, of 215 West 90th St.
Washington, John. 40 years old, found dead in a hallway at 302 Hudson Avenue, Brooklyn. Unidentified Man, about 28 years old, 5 feet 8 inches, 145 lbs., found unconscious outside 1220 Lexington Ave.
Patrick McCabe, 48 years old, of 400 West 48 St. Unidentified Man, about 60 years old, found in front of 306 East 32nd St.
Thomas Callan, 44 years old, 300 West 112th St.
Charles Norris (Don Sparks): Edward McLaughlin, 291 Division Ave., Brooklyn. Narrator: In Norris' eyes, Prohibition had become a plague. Charles Norris (Don Sparks, audio): Nearly 10,000 in this city will die this year from strong drink. Our national casualty list for the year from this one cause will outstrip the toll of the Great War. These are the first fruits of Prohibition. This is the price of our national experiment -- in extermination. Narrator: In the fall of 1927, New Jersey authorities asked Norris and Gettler to investigate the case of a woman who had been dead for five years. It was their first encounter with a terrifying new poison. The story began in 1917, when Amelia Magia got her first job. Her parents were struggling to make ends meet, and she wanted to help. Amelia and her two sisters spent their days in a New Jersey factory decorating watch faces with paint that emitted a beautiful blue-green light. The country was at war, and soldiers in the trenches had found that these luminous watches were just bright enough to read at night without being seen by the enemy. Supervisor (actor): Break time girls! Narrator: The paint was made with radium less than a millionth of a gram per watch. That was enough to give it a magical glow. Katherine Schaub (Iveta Elisabeth Lit): Hey. Amelia Maggia (Dominika Haskova): Hey. Narrator: Amelia and her friends liked to play with it: sprinkling it in their hair or painting their fingernails. Katherine Schaub (Iveta Elisabeth Lit): You still do that trick? Amelia Maggia (Dominika Haskova): Yeah, but my brother and his friends still love it. Katherine Schaub (Iveta Elisabeth Lit): Here. Close your eyes. Amelia Maggia (Dominika Haskova): No, but it will get in my eye. Katherine Schaub (Iveta Elisabeth Lit): It's good for you, right? Deborah Blum, Author The Poisoner's Handbook: When radium was discovered in the late 19th century by Marie Currie and her husband, Pierre, they named it radium because of its radio activity. And it was thought to be a wonderful thing. Radium was almost immediately put into medical practice for shrinking tumors. So the idea was it has nothing but health-giving properties. Narrator: Within no time radium was being used to treat everything from acne to insanity. Children were fed radium-laced candies and sodas, women bought radium-based facial creams, and radium clinics offered free injections of the new wonder drug. 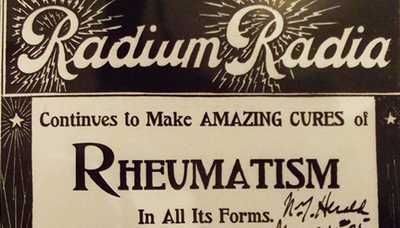 It was understood that like most medicines, radium could be hazardous. But everyone assumed that any danger was fleeting, that radium would pass through the body without leaving a trace. Deborah Blum, Author The Poisoner's Handbook: So when you are a dial painter, and you're painting watches with radium paint, then you're just thinking you're doing something good for yourself, right? You just have a little extra exposure to this wonderful healthy element. Narrator: In 1921, after four years at the factory, Magia had to quit her job. She had been losing weight, and her joints ached terribly. She developed anemia, and bled constantly from the mouth. Within months Amelia's lower jaw had disintegrated so badly that her dentist remove it by lifting it out with his fingers. Amelia Magia died on September 12th 1922, at the age of 25. The death of a young immigrant wasn't news. But Amelia was only the first. The next year another dial painter died a similar death, and then another, and another. By 1925, five were dead, and several others -- including Amelia's two sisters -- were showing the same terrifying symptoms: anemias, ulcers, tumors, and decaying bones. Marcella Fierro, Forensic Pathologist: It was a miserable death. And it didn't occur quickly. And, of course, the radium company said radium was not the problem. I mean they were not acknowledging any responsibility. Narrator: Many of the victims hadn't shown any symptoms until long after they had left their jobs. No one had ever seen a poison that took effect after months or even years. 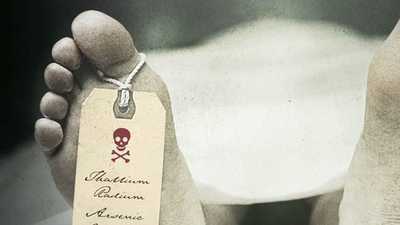 Despite the company's denials, the local medical examiner, Harrison Martland, was convinced that radium was the killer. If that was true, he was up against an entirely new poison. In the fall of 1927 he asked Norris and Gettler for help. Gettler devised a test to find radium in a set of human remains, and on October 15th the body of the first known victim was delivered to Bellevue: Amelia Magia. Marcella Fierro, Forensic Pathologist: They exhumed her bones and they cleaned them. And then Gettler, he did his tests. He covered some sheets of x-ray paper, so that light could not expose them. Then he placed the bones on them and left them in the dark for a couple of days. And when he returned and removed the paper, he saw where the bones had been placed. Gamma rays were beating on that x-ray paper, just as if we were in the doctor's office getting an x-ray. Gettler showed that the radium was in fact in the bones. Alexander Gettler (Chris Bowers): They're still glowing five years later. Narrator: Confronted with Gettler's findings, Amelia Magia's former employer was forced to offer compensation to some of the survivors. But he still insisted that the whole affair was a fraud. "We unfortunately gave work to a great many people who were physically unfit," he explained. "Cripples and other incapacitated persons were engaged. What was then considered an act of kindness on our part has since been turned against us." Marcella Fierro, Forensic Pathologist: Business could run wild with worker's safety in those days. 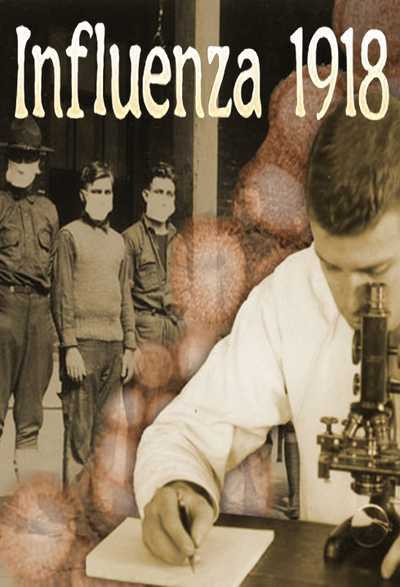 Whether it was lead or whether it was radium or all sorts of other toxic substances in the work place there was no serious agency to protect workers. Narrator: Amelia's suffering was over, but for other Radium Girls the ordeal was just beginning. The tragedy would continue to unfold for decades, as over a hundred Dial Painters were slowly poisoned by the radium in their bones. Marcella Fierro, Forensic Pathologist: These ladies were doomed. They would take that brush and bring it to their lips to get a fine point on it. Radium was going right into their blood stream through their mucous membrane. Deborah Blum, Author The Poisoner's Handbook: Radium essentially masks itself as calcium. You have this wonderful system that the body uses to deliver calcium to the bones to make them stronger. The body sees radium, thinks it's calcium, and takes it right to the bone. And it stays there. It literally starts to break the bones apart. Their spines would crumble. Their bones would break as they walked across the room. None of these girls could be saved. Nothing the doctors could do would bring them back. Narrator: The world's enchantment with radioactivity was ending. Within a few years the market for radium tonics, patent medicines, and health products had collapsed. But there was no agency with the power to ban radium outright. The Dial Painters tragedy marked the beginning of a profound shift in public opinion. Faith in scientific progress was being undermined by fear of its consequences. Norris and Gettler had been sounding that warning for years, urging the government to protect its citizens. Finally, that message was being heard. Michael Lerner, Historian: New York was a very different city once the Depression hit. In the early 1930s almost half of the city is out of work. The party atmosphere of the 1920s is gone. Sort of a dark tone takes over the city. There's a fear that the Depression was something so drastic that, that we would never recover from it. That this really was the end. Narrator: By 1933, New York had become a landscape of breadlines, soup kitchens, and homeless encampments. The Roaring 20s were a distant memory, except for one thing: Prohibition. Michael Lerner, Historian: Nothing the Prohibitionists had promised had come to happen. They promised a safer society and we had a more violent society. They promised the ends to the public health problems and instead we got more public health problems; they promised prosperity and here we were in a depression; they promised that this would clean up the cities, that didn't happen; they promised it would clean up politics, that didn't happen. Everyone's saying just set it aside. Let's be done with this. It's over. It doesn't work. It's never going to work. Narrator: Congress voted to overturn the 18th Amendment in February of 1933. But Prohibition would remain in force until three quarters of the states had voted for repeal. Until then, the smoke joints would continue to ply their trade; places like the Mermaid Tavern in the Bronx, the hideaway of a man who would become known as Mike the Durable. Deborah Blum, Author The Poisoner's Handbook: Mike is this Irish drifter who has, you know, a tab longer than his arm and doesn't pay it. And one night the owner and his friends were sort of bemoaning the bad times and wishing they knew someone who would conveniently die and leave them some money. And they all look at Mike Malloy passed out again and think, "here's our guy." Narrator: There were four men in on the plan: owner Frank Marino, bartender Red Murphy, local undertaker Frankie Pasqua, and a fruit vendor, Daniel Kriesberg. In short order the conspirators bought three insurance policies on Mike Malloy's life. Deborah Blum, Author The Poisoner's Handbook: So their thought was here's this shaky alcoholic. We'll just dose him up with major amounts of alcohol and he'll keel over. But he loved it. So after a week they said, "Okay. Well we'll try a little poison alcohol," which was killing people across the city. He loved that too, right. Kept coming back. So then they thought, "Okay, "we'll, we'll try poison food." And, and the amazing thing to me is the things he actually ate. There was one sandwich that had rotten sardines, ground glass, metal shavings. He loves it, comes back for more. So they took him out to a park. It's February, pour ice water on him, figuring he'll die of pneumonia. No, the ice water just wakes him up. He goes back to the bar and sleeps it off. And so finally, they wait until he's unconsciousness, lie him down in the street and then persuade a taxi driver to hit him with the car. But does he die? He does not. He is knocked to the sidewalk where some very helpful policemen rescue him. And about a week later he comes back, you know, he has a broken arm and a bad headache. Narrator: It was bartender Red Murphy who finally solved the problem that was Mike Malloy. He and Kriesberg rented a room, liquored Malloy up until he passed out, and then rigged a rubber tube from a gas jet to his mouth. It took just an hour for the carbon monoxide to finally kill him. The conspirators got their payoff, and set about enjoying the fruits of their labors... until the police picked up rumors of the affair. Deborah Blum, Author The Poisoner's Handbook: So, they exhume Mike Malloy's body. By this time Gettler has built this phenomenal groundwork on carbon monoxide really going back to the Travia case. So it's a piece of cake over at the Bellevue lab. He finds this lethal level of carbon monoxide and that was it. Narrator: The conspirators had made one critical mistake. In his haste to finally put Mike Malloy in the ground, undertaker Frank Pasqua neglected to embalm the body. Had he done so, the embalming fluids would have destroyed all traces of carbon monoxide. But as it was, Gettler was able to provide the evidence that sent all four men to the electric chair. They were soon forgotten, but Durable Mike Malloy would live on in memory, as the subject of songs, plays, novels, and movies. Smoke joints like Tony Marino's finally disappeared when Prohibition ended in December of 1933. Poisoned alcohol almost disappeared as well: in the first full year after Prohibition Norris counted only two methanol deaths. But the Depression had triggered a spike in violent deaths, driven by soaring rates of suicide. On average, three New Yorkers were killing themselves every day. It was easy to lose sight of the suffering behind those numbers, but in the spring of 1935, one story made it all too real. David J. Krajicek, Writer: By all accounts Frederick Gross was a very pleasant and polite fellow. He lived in Bushwick, Brooklyn. In 1935 Bushwick was sort of the hinterlands, a neighborhood of immigrants, cold water tenements; and it was a neighborhood of poverty. Frederick Gross was a bookkeeper for a little import/export company. In order to keep him on the payroll, the company said, "Look, we've got to cut your salary. We're cutting you from $35 a week to $20 a week." He kept his job but he wasn't making enough money to feed his family. He had five kids. They went to bed hungry most nights. There was no coal in the cellar to keep the flat warm. He wore a suit that he owed money on. He was in dire straits. Narrator: One evening, Gross's wife Katherine told him that one of the boys wasn't feeling well. Gross put him into pajamas and tucked him into bed. By morning he was dead. Colin Evans, Writer: The first to die was Frederick, age nine. He was followed by his younger brother, Leo. And then, Katherine, the wife, died. And then after a passage of three weeks his two daughters died. And eventually rumors reached the police and they started to investigate. Deborah Blum, Author The Poisoner's Handbook: The only person who's not getting sick is the dad. So, of course, the police are thinking, "This guy is really doing a number on his family." Narrator: Gross was arrested; the police questioned him for 28 hours, and for 28 hours, he insisted he was innocent. Finally Gross was delivered to his cell, where he collapsed onto his cot, still wearing his one good suit. The police were left with five bodies, and one dramatic clue. Deborah Blum, Author The Poisoner's Handbook: His 18-month-old daughter before she died, a neighbor described her, you know, as bald as an egg. All of her beautiful hair had fallen out. His son in the hospital was bald. Narrator: Investigators suspected poison, and the hair loss pointed to a highly toxic heavy metal that was widely used in pesticides: thallium. Their suspicions were corroborated by a local pathologist, who confirmed that all of the bodies contained thallium. And they weren't long in figuring out how it got there. David J. Krajicek, Writer: It turned out that Frederick Gross' employer sold thallium as a pesticide against rodents and bugs and whatnot. They also sold cocoa. And Fredrick Gross had brought home a couple-pound tin of it one week and then brought home another two-pound tin of it a week later. The Brooklyn prosecutor said, "That's a lot of cocoa." 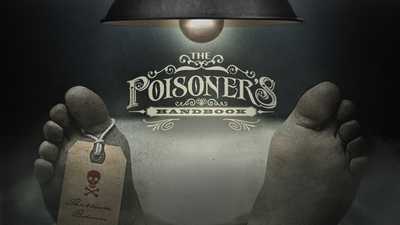 Deborah Blum, Author The Poisoner's Handbook: So, you know, if you're a police officer and you're connecting all these dots, dying family, amazingly untouched dad, access to poison, the poison, and access to what appears to be the method of delivery, it looks like a perfect case. Narrator: When the same pathologist confirmed the presence of thallium in the cocoa, the Brooklyn DA had everything he needed to go to trial. But the case troubled him: why had Gross done it, and why did he keep insisting he was innocent? Deborah Blum, Author The Poisoner's Handbook: He hasn't taken out any of those handy insurance policies, right. He's, he's not wealthier. And they are discovering that no one believes he did it. Narrator: Hoping to dispel his doubts, the D.A. sent the evidence over to Alexander Gettler the tissue samples, the cocoa, the tin, all of it. The heart of the mystery was the alleged murder weapon: the cocoa Gross had fed to his children. Gettler devised a procedure to remove any thallium from the cocoa and isolate it in a clear solution. Alexander Gettler (Chris Bowers): Ok, Harry. That's good. Narrator: But that was just the beginning. Gettler's procedure also isolated other elements that could be mistaken for thallium. He needed to confirm beyond a shadow of doubt whether the solution actually contained the poison. The theory of spectroscopy had been around for almost a century. It was based on a peculiar phenomenon: when any element is heated to the point that it glows, it emits a characteristic color. Alexander Gettler (Chris Bowers): So if we do have thallium we should see some green. Narrator: But this color is visible only for the brief moment it takes a sample to evaporate, so precise identification is impossible with the naked eye. Alexander Gettler (Chris Bowers): Ok. Let's get the spectrograph. Narrator: But if the flame is viewed through a prism, the resulting color spectrum is like an element's fingerprint. Each element has its own spectrum; no two are alike. And if that spectrum was projected onto a sheet of photo paper, it could be preserved for careful analysis. The spectrograph had been designed to do just that. It had never before been used in a criminal investigation. Gettler lit a gas flame inside the spectrograph, and tuned it so that it emitted no visible light. Alexander Gettler (Chris Bowers): Ok Abe. Are you ready? Abraham Freireich (Howard Lotker): Ready. Narrator: He then inserted a drop of the thallium solution. Alexander Gettler (Chris Bowers): And expose. Good. And that's it. Let's see what we've got. Narrator: The last step was to compare the photo paper with a chart of known color patterns. Narrator: Thallium's fingerprint was two characteristic bands of light. Alexander Gettler (Chris Bowers): 2918 and 3519. Abraham Freireich (Howard Lotker): No. Alexander Gettler (Chris Bowers): Ok. How about 5105 and 5218. Abraham Freireich (Howard Lotker): Yes. Alexander Gettler (Chris Bowers): Copper. Alexander Gettler (Chris Bowers): Well, we know that the cocoa wasn't the murder weapon. Ok, we've got to move quickly. Narrator: Gettler proved that the cocoa hadn't been poisoned at all; rather, copper from the tin had leached into the powder. The pathologist who first tested the cocoa had mistaken one for the other. The case against Frederick Gross was starting to fall apart. Deborah Blum, Author The Poisoner's Handbook: So they exhume the bodies of everyone who died. And Gettler discovers that thallium is in the bodies of all these dead children but not in the mom. That she had coincidentally died of encephalitis. Colin Evans, Writer: So the police were left with five bodies, no motive, and no means of establishing exactly how the thallium had gotten into the victims. But when they started talking to neighbors, it emerged that the mother, Katherine, was so depressed with her current situation, she'd recently found out she was pregnant again, and she said, "things just, you know, just cannot go on this way. Life for Frederick, he doesn't deserve this." Gradually the police realize it was Katherine who'd killed the children by poisoning their food. And she'd done it as an act of kindness to her husband. Narrator: On May 20th, 1935, a Brooklyn magistrate dismissed the charges against Frederick Gross. Although Gross had suffered terrible loss, he had been spared an even greater injustice. Had he been condemned to die, it's unlikely that anyone would have questioned the verdict. What was left of Gross's life he owed to Alexander Gettler. Gross went straight from the court to the hospital where his only surviving son was recovering. Seeing the little bald boy in the crib, he started to cry. The five-year-old asked his father why he hadn't come to see him on visiting Sundays. Gross replied, "Son, I was busy." Marcella Fierro, Forensic Pathologist: I know exactly what Norris went through. You see this pain and suffering every day. You're working to bring something positive out of it. Whether it's answers to families, insurers and courts or if it's a public health issue can you inspire the political people to change things? But it's physically wearing as well, okay. Physically wearing. Narrator: By 1935, Charles Norris had been on the job for 17 years, fighting one uphill battle after another. And that spring, he was drawn in to one of the most dispiriting battles of all. Once again, the adversary was City Hall. Gentleman Jimmy Walker was gone now. His tenure ended in spectacular fashion when he fled the country to avoid being prosecuted for corruption. Norris had been hopeful when Fiorello LaGuardia moved into the mayor's office. LaGuardia shared Norris's dislike of plutocrats and Prohibition. But Prohibition aside, the new mayor was a law and order man, and he set about cleaning up the city government with boundless energy. Unfortunately for Norris, that energy wasn't always matched by discernment. Deborah Blum, Author The Poisoner's Handbook: Fiorello LaGuardia had a deep distrust of this wealthy medical examiner. I mean Norris acted like a guy with money. He had a chauffeur. He wore really good clothes. If you were a suspicious mayor, which LaGuardia was, you'd say to yourself, "Never mind his private income. This is a guy on the take." Narrator: In May of 1935 LaGuardia accused Norris and his staff of embezzling almost two hundred thousand dollars. Norris's public humiliation went on for almost a month, before investigators finally acknowledged that not only had he not stolen anything, but that he had, in fact, "spent substantial amounts of his own money" to sustain the department. Norris had had enough. In June he left the country for a long delayed vacation. But when he returned to work in the fall, he hardly seemed rejuvenated. He moved slowly, and joked with Gettler about being too old for the job. On the evening of September 11th 1935, Charles Norris' heart finally gave out. Deborah Blum, Author The Poisoner's Handbook: When Norris died in 1935 there was this phenomenal outpouring from people right down to secretaries talking about how much he had taken care of them, you know, given them extra money when they were struggling; helped them when they had problems. Maybe that's a little bit of an aristocratic thing. But he really saw them as people in his care. Narrator: "Dr. Norris became an almost legendary figure in the life of the metropolis," the New York Times observed, "a genius who had in his personality much of the detective and the philosopher." For Gettler, there was little time to mourn -- the drumbeat of death never let up. Sometimes the work left him numb. But other cases burned themselves in memory. One such episode began less than two weeks after Norris's funeral: a bizarre murder that featured an uncomfortably familiar suspect. The Depression looked different in the suburbs. Here, just beyond the city limits, hardships were hidden from view. But the jobs and the money were disappearing all the same. In the struggle to make ends meet, more and more families were moving in together. So nobody took any notice when the Applegates moved in with their neighbors. Nor did it seem unusual when Ada Applegate passed away in the fall of 1935. Colin Evans, Writer: There was nothing about the death to attract any suspicion whatsoever. It appeared to be just another awful tragedy, a woman dying in her mid 30s for no accountable reason. The attending physician, he recorded a catch-all verdict of coronary occlusion which could have meant anything really. And there the story may have died except that the police received an anonymous letter comprised of clippings from a case that had happened twelve years earlier. David J. Krajicek, Writer: It seemed as though she had fallen off the face of the earth. In fact, Fanny Creighton was living in Baldwin, Long Island, and was a housemate of Ada Applegate's. Colin Evans, Writer: So once the police had this information they realize, "Wait, Ada Applegate is being buried today." So they immediately went rushing off the church. And the funeral service was actually underway when the police came storming in and demanded everything had to be stopped right now, "We need the body!" Narrator: Because there was no poison specialist in the area, the police sent Ada Applegate's remains to the most famous toxicologist in the country. Everywhere he looked, Gettler found arsenic: four times the lethal dose. The police didn't have to look far for their suspect; among the mourners at Ada Applegate's funeral was Fanny Creighton. They brought her in for questioning. To their astonishment, she wanted to talk about her past. It had been so easy. In the spring of 1923, soon after Fanny convinced her brother to move in, she took out an insurance policy on his life. Charles never thought twice when Fanny offered to prepare his meals. She had mixed arsenic into his chocolate pudding. There was plenty on hand, in the popular tonic that Fanny used to lighten her skin. Marcella Fierro, Forensic Pathologist: Fanny Creighton. She is the stuff that novels are made of. Poison her own brother for a thousand dollar life insurance policy? Now is that a profound betrayal of trust? Just a consummately evil lady. Narrator: But Fanny had already been declared not guilty of the murder of her brother; she couldn't be tried twice for the same crime. If Fanny was to be convicted of anything, the police would have to solve the killing of Ada Applegate. Colin Evans, Writer: Initially the police suspected that there was a love affair between Fanny and Everret so maybe they killed his wife in collusion. But the more they dug into it they found that no, it was far, far more sinister than that. Deborah Blum, Author The Poisoner's Handbook: Ada Applegate's husband was very unhappy in his marriage. But the person he fixed on was not Fanny Creighton but Fanny Creighton's 15-year-old daughter. He decided that she was the girl for him. And what's really creepy about this is that so did Fanny. Fanny was starting to resent the expenses of having children in the house. So she sees this as a chance to move the kid out. She would send her daughter up to his room at night. She would chart her daughter's menstrual period so he could make sure that, you know, she didn't get pregnant. David J. Krajicek, Writer: Fanny believed it ultimately was leading to Ruth and Everett Applegate marrying, thus giving her more time to do whatever she did in Baldwin, Long Island. Colin Evans, Writer: And the only obstacle standing in the way of this brilliant scheme is Ada Applegate. And sure enough she dies from arsenic poisoning. Narrator: In January of 1936, for the third time in her life, Fanny Creighton stood trial for murder. Only now, Alexander Gettler was testifying against her. Deborah Blum, Author The Poisoner's Handbook: I've always wondered how Gettler felt on the day that he testified in the trial. Here's this woman, this woman that he had helped essentially, he believed, save, this so-called innocent, young mother who now is revealed as a killer. Prosecutor (Ryan James): So the victim consumed almost four times the lethal dose of arsenic? Alexander Gettler (Chris Bowers): That's right. Prosecutor (Ryan James): Dr Gettler, Mrs. Creighton admitted that she purchased rat poison -- "Rough on Rats," it's called -- shortly before Mrs. Applegate became ill. Do you have any reason to believe that this was the murder weapon? Alexander Gettler (Chris Bowers): I do. The type of arsenic in the victim's body was identical to the active ingredient in that product. The victim's stomach also contained a quantity of soot, identical to the inactive filler in that product. Prosecutor (Ryan James): How sure can you be that the victim ingested "Rough on Rats?" Alexander Gettler (Chris Bowers): There is no doubt. Prosecutor (Ryan James): Your witness. Deborah Blum, Author The Poisoner's Handbook: Defense attorneys were starting to say, "When Alexander Gettler comes into a courtroom he's an unanswerable witness. His testimony is so trusted at this point, his science is considered so exact that we can't win a case when he's on the other side." Narrator: On January 30, 1936, the jury found Fanny Creighton and Everett Applegate guilty of murder. They died seven months later in the electric chair at Sing Sing. For Gettler, Fanny Creighton's trial was a measure of the changing status of forensic science. Deborah Blum, Author The Poisoner's Handbook: When he started in 1918, Gettler could not persuade a jury to trust the science. But you've seen in this, what, a little over a decade, this phenomenal pendulum swing where people are starting to look at these scientific results and say, "That's it. They prove it. That's the answer." Colin Evans, Writer: Before he came along juries just did not believe forensic science. Nowadays, of course, everything has turned 180 degrees and forensic science is the most believed testimony in modern day courtrooms. Marcella Fierro, Forensic Pathologist: Juries like the certainty of science. They like that a lot. And I can understand that. Imagine being a juror trying to weigh the contradictory testimony of two credible people. An honest man sits there and he agonizes, "Who do I believe?" And when you can bring that honest juror science, and he can believe it, and it has a foundation in the reality of the universe, he's gonna look at that every time. Narrator: Gettler stayed at his post as the world changed around him. By the time he was ready to retire in the fall of 1958, New York was enjoying a level of wealth and cultural influence that surpassed even the Roaring 20s. The new prosperity had dampened some darker impulses -- homicides had dropped dramatically. And, in large part because of Alexander Gettler, homicidal poisoning had all but disappeared. It had become almost impossible to get away with it. City employees were supposed to retire at 70, but New York made an exception for its single-minded toxicologist. At 75, Gettler estimated that he had analyzed more than 100,000 bodies. As Gettler closed out his long career, he could look back on some remarkable changes. He and his colleagues had revolutionized criminal investigation. Forensic science had become not just a respected discipline, but a subject of public fascination: the scientific sleuth was a regular feature of radio dramas and detective novels. But Gettler had little time for his fictional counterparts, and even turned down a TV series based on his work. He wanted to stay far from the limelight. 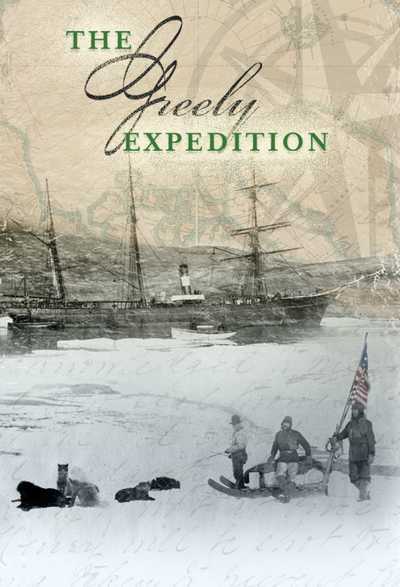 As Gettler saw it, his true legacy was the mission that he and Charles Norris had embarked upon so many years before. Deborah Blum, Author The Poisoner's Handbook: Their mission was to help the public, to take this knowledge and you could protect people. Both of them felt very strongly, that there was no point in doing it if all you did was solve murders. Narrator: Together, Norris and Gettler had pursued an elusive vision: a partnership between forensic scientists and government, which would protect citizens from the unintended consequences of progress. Norris didn't live to see that vision realized, but Gettler did. By 1959, a powerful federal agency -- the Food and Drug Administration -- was policing the flood of chemicals in the food supply, in drugs, and cosmetics. Although the system was fallible, no one seriously questioned the government's duty to protect its citizens. Deborah Blum, Author The Poisoner's Handbook: You see this profound change in attitudes toward public health and regulation. I mean it's huge. The idea is that we can use smart science to understand what puts us at risk and what doesn't. Marcella Fierro, Forensic Pathologist: We have a societal obligation to take care of our people and to recognize when something bad has happened to them. We do not ignore the fact of death. We try and learn from it. Michael M. Baden, Forensic Pathologist: When the medical examiner's office moved from Bellevue into the new building around 1960 or so, the motto that was put up was a motto that Norris had. It was from an old Viennese morgue. And, translated from the Latin, means: "Let conversation cease; let laughter flee, this is the place where death delights to help the living." In the early 20th century, the average American medicine cabinet was a would-be poisoner's treasure chest. The use of poison as a murder weapon goes back thousands of years. Forensic toxicology, however, is much newer. In the early 20th century, dangerous chemicals were included in many common household products. Browse a gallery of labels. 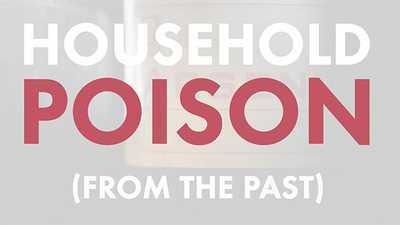 A brief history of dangerous chemicals and compounds in our homes.